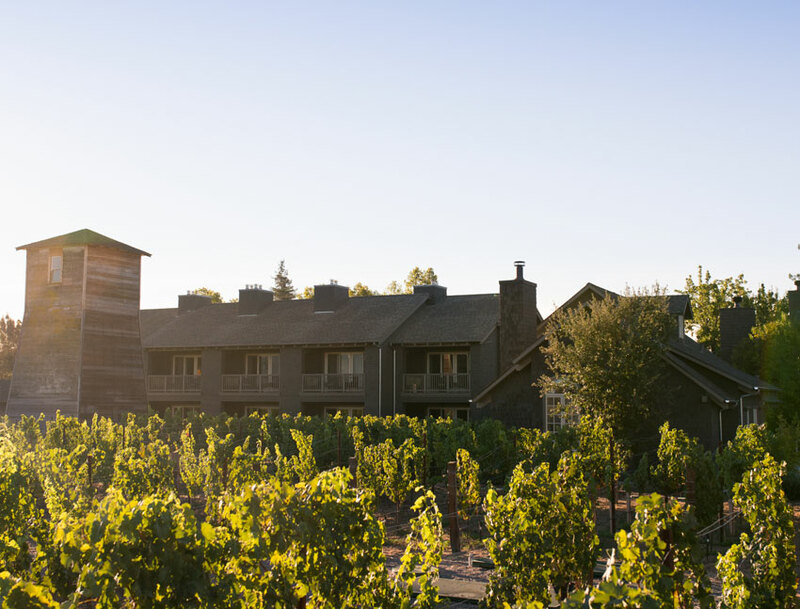 Tucked between the vines and city of Napa, our Napa Valley boutique hotel provides an unrivaled sense of escape in one of the most desirable destinations in the world, near over 400 wineries, eclectic shops, and world-class restaurants. SENZA Hotel offers country charm with understated elegance, perfect for soaking in your surroundings and enjoying the best Napa has to offer. Situated at the gateway to Napa Valley, between Yountville and the city of Napa on Highway 29, our tranquil haven is five minutes from downtown Napa, which is lined with chic boutiques, Michelin-starred restaurants, and a multitude of wine tasting rooms. Walk to acclaimed wineries, including our very own, take a hot air balloon ride, hop aboard the Napa Valley Wine train, or hit the greens for a round of golf while staying at SENZA Hotel. Just 55 miles north of San Francisco International Airport and 60 miles west of Sacramento International Airport, getting to us is easy from every direction. Plan your ideal Wine Country escape and discover the Napa Valley lifestyle at SENZA. Napa Valley is located about an hour north of San Francisco and an hour west of Sacramento, California. Comprised of five towns, the Valley is home to Calistoga, St. Helena, Napa, Yountville, and Oakville & Rutherford. Just 30 miles long and 5 miles wide, Napa Valley, has the perfect climate, soil, and topography to harvest legendary Chardonnay and Cabernet Sauvignon wines. When is the best time to visit Napa Valley wineries? Most wineries and vineyards are open year-round, but if you are looking for a full Napa experience, plan on visiting between August and November which corresponds with the region's harvest season. March through May is also another good option as crowds have thinned and spring is in full bloom. Early summer brings the masses, but the weather is very hot. Where are the best places to eat in Napa Valley ? As a number one food destination in the world, Napa Valley is filled with everything from taquerias to Michelin-starred restaurants. While visiting SENZA Hotel, make sure to make your way to some of our local favorites including Bistro Don Giovanni-Napa, French Laundry in Yountville, Brix, Blue Note Napa, Fume, and Il Posto Trattoria for a taste of Napa Valley’s best cuisine. How far is Napa Valley from Los Angeles? Napa Valley is approximately 400 miles North from Los Angeles. If driving, expect a 6.5-hour drive in regular traffic. There are plenty of interesting places to stop along the way including Ojai, Joshua Tree, Big Sur, Palm Springs, and Santa Barbara. How far is San Francisco from Napa Valley? San Francisco is 37 miles southwest of Napa Valley. Depending on when traveling, the drive could take anywhere from 45 minutes to an hour and a half. San Francisco International Airport is 58 miles from Napa following the I-80 E route and should take just over an hour to drive. Is the hotel walking distance to any Napa wineries? Stay just steps from SENZA’s own vineyard or walk to several nearby wineries located under a mile from SENZA Hotel including Ashes & Diamonds, O’Brien Estate, Trefethen Family Vineyards, and Laird Family Estate. HALL and WALT are also great options if traveling by car. Breathe, sleep, eat, and rejuvenate steps from the vineyard and soak in SENZA's natural connection to Napa Valley. Step out onto your private patio and watch the sun rise and set over Napa Valley from our Vineyard Suites. With an ideal Napa location, walk to the nearby vines and sample Napa's bounty.